Do you Qualify for a Career as a Heavy Equipment Operator? to, some may have job placement assistance and others may not. operator's school, a person may also become an apprentice. business to hire and train you to operate their equipment. 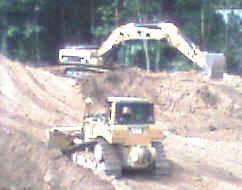 running heavy equipment, or even start your own business.